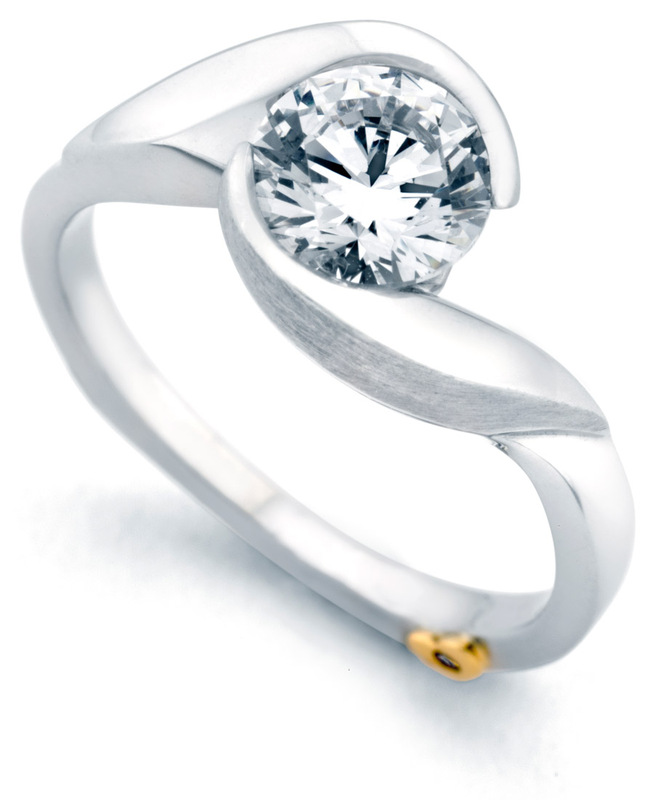 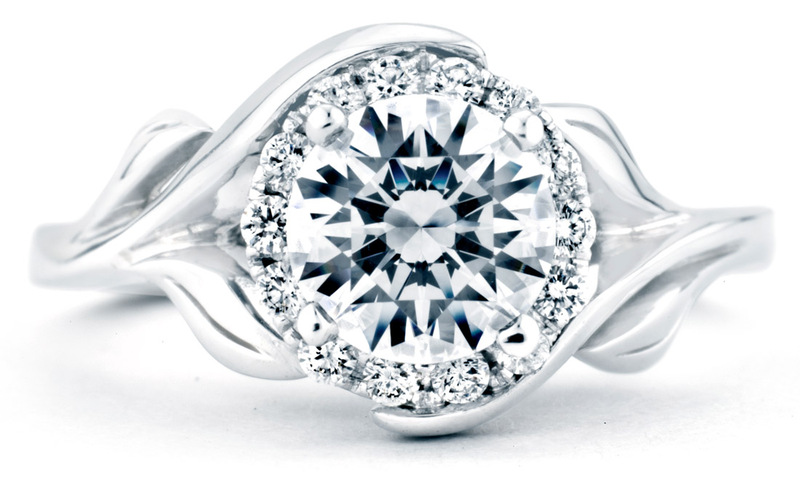 A simple and sophisticated take on the traditional solitaire engagement ring. 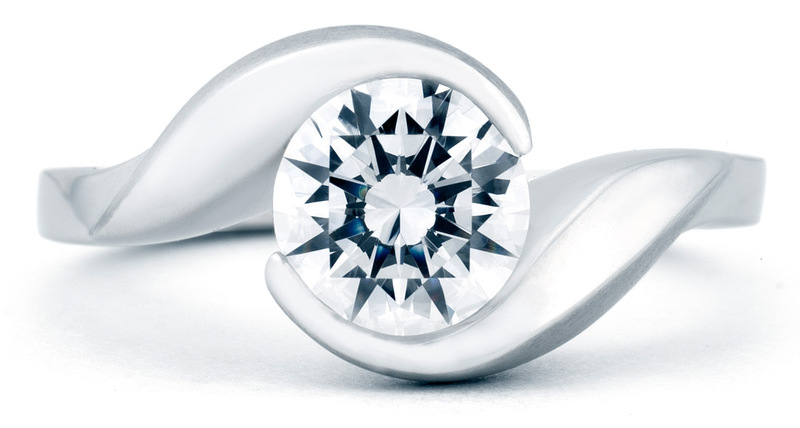 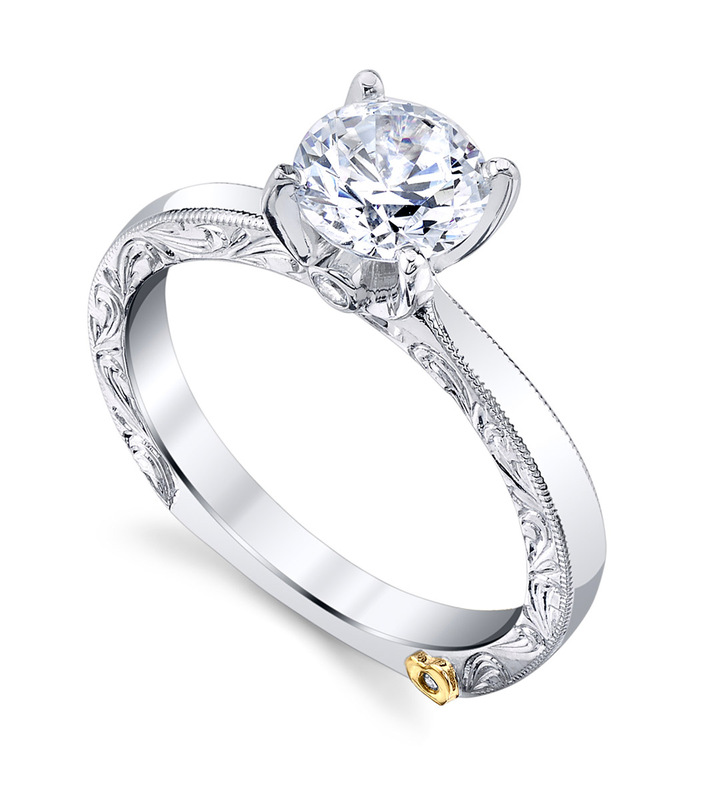 The center diamond is held by two leaf designs whose flowing lines naturally compliment the round shape of the diamond. 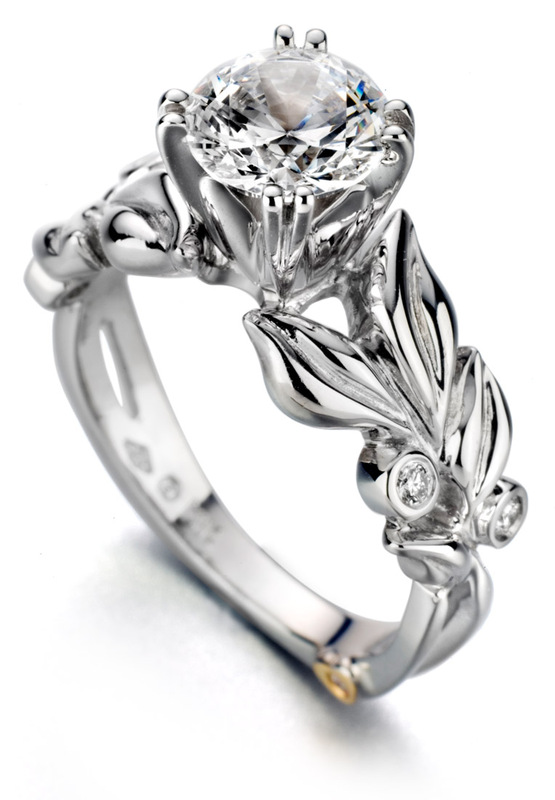 Floral patterns are very tastefully and subtly introduced in this striking ring.